How about adding awesome effects to your guitar sound without having to sell your kidney? As always, we have something for you (you’re welcome): we give you the SmartGuitar – a better way to play guitar like a pro and not spend thousands on expensive gear. 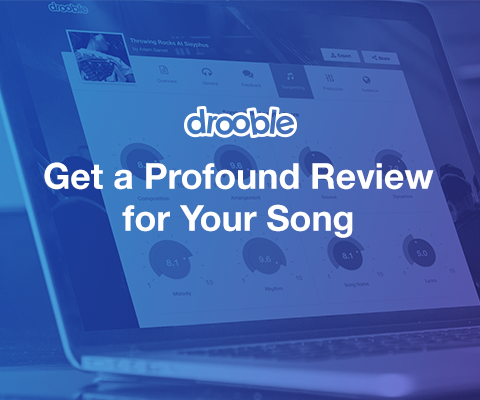 We were so happy we found this amazing gadget on Drooble, we contacted creators Walter Medeiros and Phil D’Cruz and asked them about their cool new contribution to music. Enjoy our talk! Hi Walter, please introduce yourself to our readers! Thank you for giving us the opportunity to tell you about the SmartGuitar. I’m Walter and together with Phil, I’ve developed a new guitar concept that will change the electric guitar all together! How did you begin your music experience? I purchased my first guitar at seventeen and tried to teach myself how to play. When I started learning the guitar, I would go into my room and learn a lick from a cassette by starting and pausing the tape. Phil started off on the keyboard but decided to move to the guitar to get (more) girls! You’re a creative person, tell us about your different guitar projects. I had always wanted to build guitars and decided the best place to start would be to build model guitars. They looked so real and I decided it would be a waste not to build full-scale guitars. The SmartGuitar is a guitar equipped with a mobile device holder and a built-in guitar interface which allows you to select effects and different amplifier models and still play through their amp. This potentially saves a lot of money that would otherwise be spent on pedals and amps. It also allows you to play along with YouTube videos or to take an online video tutorial and turn your phone into your personal guitar teacher! How many people have used it already? What is their feedback so far? We have been showcasing the SmartGuitar through social media and are getting ready to launch our crowdfunding campaign to further develop and improve the final product that will be available for market. We have shared it with many interested guitar manufacturers who’ve helped us advance the concept further with their own ideas and feedback. Do you use existing guitars as bases or do you need to know it’s going to be a Smart Guitar before you start building it? We do need to know we’ll be making a SmartGuitar beforehand; however, you can still play a SmartGuitar in the traditional way. This can be done by simply removing the phone and closing the compartment. Do you work with a specific guitar model? 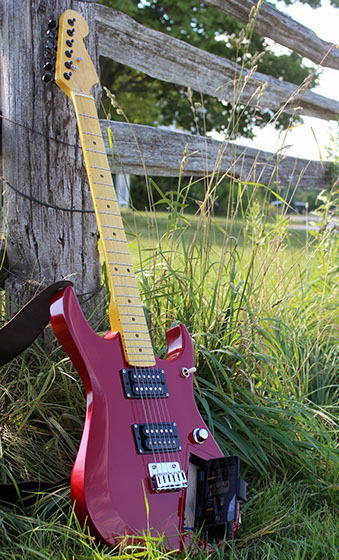 We started with a standard super-strat shape and modified it a bit to make it a SmartGuitar. The body is a bit bigger than a standard strat to make the phone more accessible, while out of the way so that the musician can play comfortably. Does it work with different smartphone brands and operating systems? Do you use your own app, and are other apps available on the market that people can use? Yes, it works with any smartphone and operating system, including iOS, as long as it can run the application. Naturally, the faster the phone, the better the app will run. Currently, the SmartGuitar uses IK Multimedia’s Amplitube (any version of it works well), but any guitar effects app that runs through your phone will work. 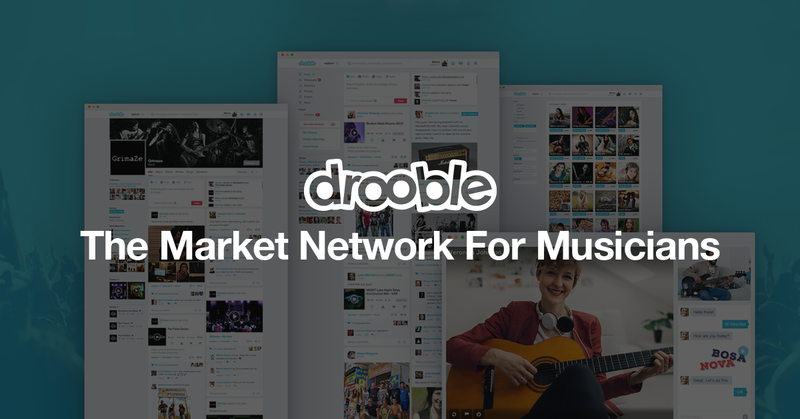 Music platforms such as Drooble are a great way to help musicians come together from around the globe to share ideas and collaborate on music with endless potential. Our advice to people growing small businesses like SmartGuitar and Drooble is to take advantage of every opportunity and talk to as many people as possible. Thanks, once again from the SmartGuitar team!